Pharmalink is a special system designed to take the output from Pharmacy Dispensing Robots and transport medications to remote locations. Pharmacy Dispensing Robots are found in most hospitals. Sometimes the location of the robot is not the location where the medications are required either for use or further processing. Pharmalink is designed to connect the output from dispensing robots to these remote locations. 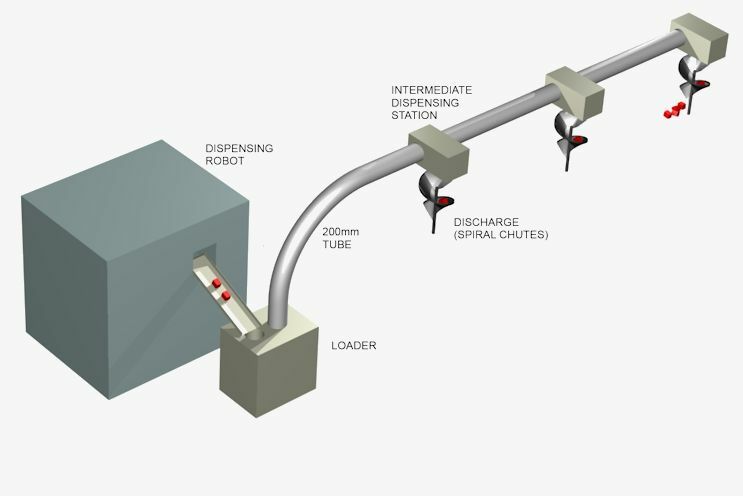 Each dispensing robot output is connected to a dedicated tube which can deliver to either one or many discharge points. Special software and intermediate dispensing stations ensure the output from the robot is delivered to the correct location. The intermediate dispensing stations are designed to release the medications into whatever output method is required by the customer. This might be a simple container, a discharge spiral, or a conveyor system. Pharmalink uses an enclosed carrier system. 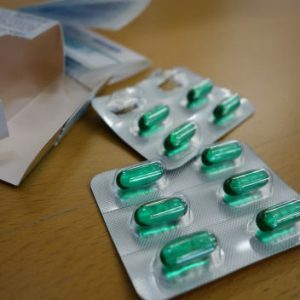 There is no requirement for operators to insert medications into a carrier. The payload is pushed to where it is required, discharging at the chosen location, and the enclosed carrier returns to the automatic loader for the subsequent transaction.